5 Estate Planning Tools to Revisit at the Start of the Year - Haas Tharrington, P.A. Many people hold off on estate planning. They don’t believe that their net worth is high enough or that they have enough assets to protect. Sometimes they believe (in error) that everything will automatically go to their spouse or to their kids, and there is simply no need. Alternatively, they create a plan, but fail to update it as their life circumstances change. But the truth is that everyone, particularly people that have children, should have at least a simple estate plan. Now that a new year has begun, it’s a good time to put together a plan or revisit your existing one. Some plans are more detailed than others, but what they all have is common is a solid blueprint for the future. Here are five tools you should review or revisit now, so you can start 2018 on the right foot. Without a will, the probate process will take longer and your assets may not go to your preferred beneficiaries. If you have minor children, they not end up with the guardians you would have preferred, or the assets they inherit from you may not be managed the way you envisioned. Taking the extra time to create one and keep it updated will make it easier to prevent the distribution of your estate from being decided by a judge. A durable power of attorney permits you to assign someone else to make decisions for you if you become incapacitated for any reason. Your chosen agent will have the authority to enter into financial transactions, buy and sell real estate, and make other legal decisions in your stead (the sole exception being healthcare choices). This type of power of attorney can be revoked when you regain competence or pass away. When you create a revocable living trust and transfer assets into it, you can manage them during your lifetime and then have a chosen representative distribute the property to designated beneficiaries when you pass away. 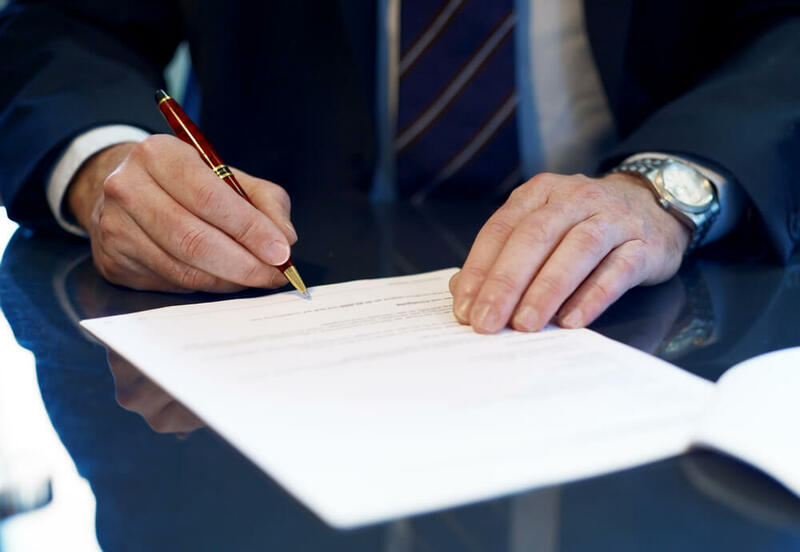 A major advantage of a revocable living trust is that it avoids probate court because the contents are technically not included in your estate. It also makes the asset transfer process more private because trust details are not public record. Property in the trust is protected from creditors, which is important if you work in a profession that involves frequent litigation. Even if there is a judgment against you, no one can touch the assets in the trust. Estate taxes are avoided because the property in the trust is legally not part of your estate. You no longer own the assets, so you can qualify for Medicaid assistance. Medical directives like a healthcare power of attorney and living will convey your healthcare wishes in the event that you cannot do so yourself. With a healthcare power of attorney, you name another person you trust to make decisions about your medical treatment. A living will applies when you are diagnosed with a terminal illness or become physically or mentally incapacitated. It allows you to decide now, while you are healthy, how and to what extent you want to receive care in the event you become incapacitated. Many people opt to include both types of medical directive in their estate plan. Let the estate planning attorneys at Haas Tharrington help you protect your loved ones and your future. To schedule a consultation and learn what we can do for you, contact us or call (919) 783-9669 today.